The hand-harvested grapes are vinified according to the local tradition, which requires a long maceration of the skins at a controlled temperature. Once the malolactic fermentation has occured,the wine decants in stainless steel tanks. Intense ruby red with light purple highlights. Intense red fruits aroma: black cherry, fig and plum with spicy hints, black pepper and cinnamon. 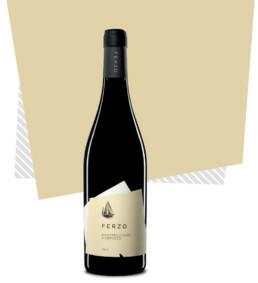 Full bodied and well balanced in accordance with the typical characteristics of the Montepulciano wine, tannin-rich, but soft and juicy, fruits preserve nuances, with a complex and lingering finish. First dishes with mushrooms, truffle and juicy sauces. Ideal with roast lamb, salumi and seasoned cheeses. It’s also appetizing with plain chocolate.